Aya Imamura exhibits her series of work "SCOPOPHILIA" in Biennale internationale d'estampe contemporaine de Trois-Rivieres, Canada. 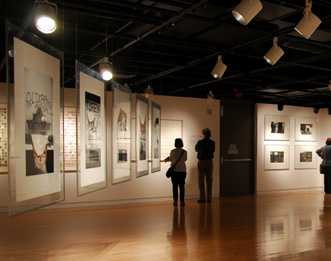 This exhibition is the largest show in Canada dedicated to printmaking. The prints are grouped by theme in the four exhibition spaces, each theme being a key to the heart of each artist's work: human history, social criticism, portrait and self-portrait, urban territory, etc. Aya Imamura's work is exhibited in the groupe of social criticism.